NIZHNY NOVGOROD, Russia – Starting lineups and live streaming coverage for the World Cup quarterfinal game between France and Uruguay at Nizhny Novgorod Stadium. Watch live streaming coverage of the World Cup quarterfinal game between Uruguay and France on Fox Sports Go and livescores at livescores.com, starting at 10:00 am ET. 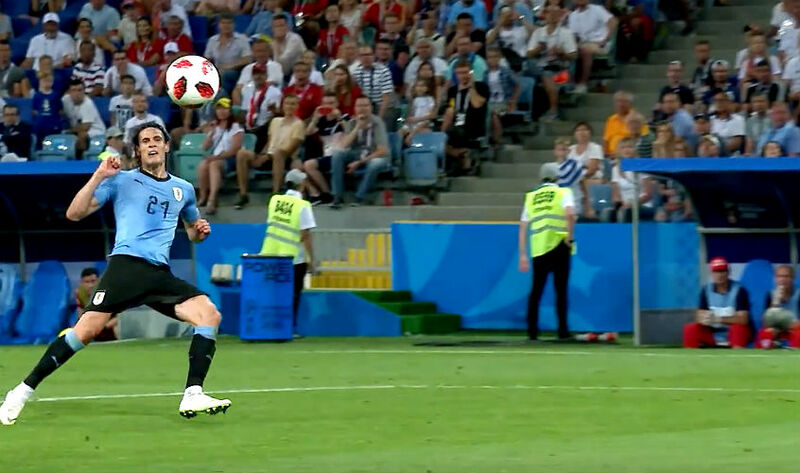 Uruguay coach Oscar Tabarez has been forced to make one change to the side that knocked out Portugal in the last-16 with star forward Edinson Cavani, who limped off the field in that game missing out. The Paris Saint-German striker scored two brilliant goals against Portugal in the 2-1 win before picking up an injury to his left calf and hasn’t fully recovered. Cavani has been replaced in the starting XI by former Middlesbrough attacker Cristhian Stuani, who will partner Luis Suarez in a 4-4-2 diamond formation. Meanwhile, France coach Didier Deschamps has also made one adjustment to his starting team, as midfielder Blaise Matuidi is suspended and is unavailable. Matuidi, who picked up a second yellow card during the 4-3 victory for France over Argentina in the round of 16, has been replaced in the side by Corentin Tolisso. Ngolo Kante, the rock in the midfield, Paul Pogba and Antoine Griezmann also start for Les Bleus, who are undefeated in their last eight. France, which last won the World Cup at the 1998 edition, is aiming to go past the quarterfinal stages for the first time since losing to Italy in the 2006 final. France: Hugo Lloris, Benjamin Pavard, Raphael Varane, Samuel Umtiti, Corentin Tolisso, Ngolo Kante, Lucas Hernandez, Paul Pogba, Antoine Griezmann, Olivier Giroud, Kylian Mbappe.